JERUSALEM (JTA) — Two weeks before the European Figure Skating Championships in Tallinn, Estonia, in mid-January, Israeli skater Tamar Katz was sick in bed and going crazy. Though she had qualified already in international competition for the 2010 Winter Olympics, the tougher standards of Israel’s Olympic Committee required that Katz finish in the top 14 in Europe to punch her ticket to the Winter Games in Vancouver. Katz said that while she felt weak before leaving for Estonia, she felt good when she took the ice. But Katz made a mistake in her performance, missing her triple lutz-double loop combination, the highest scoring element in her program. She finished 21st — half a point away from qualifying for the finals, where her free skate routine might have propelled her into the top 14. As a result, Israel is not sending Katz to Vancouver. About a decade-and-a-half ago, Israel began applying demanding new standards to limit its Olympics delegation to athletes with a legitimate shot at a medal. Consequently, only three Israeli athletes will be competing this month in Vancouver – downhill skier Mikail Renzhin, and the brother-and-sister ice-dancing duo of Alexandra and Roman Zaretsky. It is Israel’s smallest delegation to the Winter Games since 1998, when the nation also sent three athletes. Israel sent five athletes to each of the last two Winter Games — in Turin, Italy, in 2006 and Salt Lake City, Utah, in 2002. Israel’s first-ever appearance in the Winter Games was in 1994 in Lillehammer, France, when one Israeli athlete participated. The policy of the Israeli Olympic Committee has proven controversial here. In the lead-up to the Summer Games in Beijing two years ago, Israeli tennis star Dudi Sela was ranked 71st in the world — well within the top 100 required to qualify for the Olympics. But because Sela fell short of Israel’s own Olympic Committee standards — he needed to be among the top 50 in his sport to qualify — he was forced to stay home. Zinger argues that while some Israeli athletes are left behind, the policy — which applies to the Summer Games, too — has enabled Israel to invest the lion’s share of its resources into the athletes the committee thinks have a chance at winning medals. Glickstein says the notion that the policy is about saving money is absurd, maintaining that it takes just a few thousand extra dollars to send an athlete to the Olympics — most of which is paid by sponsors. 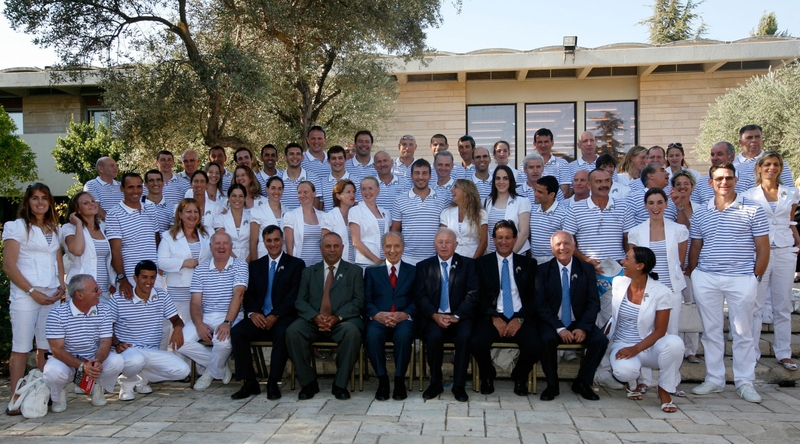 Israel picked up its first two medals in the 1992 Summer Games, a silver and a bronze in judo, and has won five since, including a gold in sailing in 2004. All the medals have come in the Summer Games. Katz is angry about being left behind. A Facebook group called “Tamar Katz should be allowed to compete at the 2010 Olympics” has garnered more than 1,500 members by the beginning of February and generated hundreds of e-mails to the Israel Olympic Committee. Born in the United States to Israeli parents, Katz lived in both Israel and the United States as a child. In Israel, she lived in the northern city of Metullah, near the country’s only ice skating rink. In the United States she lives and trains in Rockland County, N.Y., about 25 miles from New York City, and receives a stipend from the Israel Skating Federation. Israel supports about 80 top-caliber athletes in several sports. The support includes training, expenses to attend international competitions, hiring coaches, and providing full medical coverage and treatments not covered by regular Israeli national health care, as well as stipends and performance-based incentives. Many athletes argue that merely appearing in the Olympics, even without winning anything, is a good way for younger athletes to gain experience for the next Olympics. But Zinger says Israeli athletes can get the same experience from appearing in other international competitions. Katz disagrees, saying Olympics exposure helps with the judges. “If they want me to medal in 2014, they should have sent me now,” she said. Last December, the committee decided on the goals and targets for the 2012 Summer Olympics in London. They include winning medals, improving the success rate of female athletes and attaining a medal in a sport that Israel has yet to master — namely, gymnastics.